Cork Environmental Forum (CEF) came into being in 1995 to the backdrop of the burgeoning Celtic Tiger, when it was founded by Cork County Council as an instrument for applying the principles of Local Agenda 21, as agreed by the United Nations Global Conference on environment and development in Rio de Janeiro in 1992. 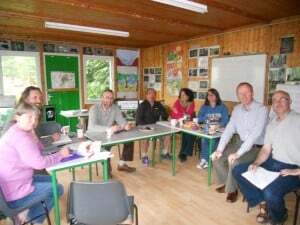 CEF’s initial brief was to bring various stakeholders together at a local level throughout Cork city and county who would not ordinarily have occasion to meet to discuss local sustainability and environmental issues and agree on an appropriate action plan. As the context in which CEF exists has changed the over the years, so has CEF evolved to respond to emerging challenges and opportunities. Nowadays CEF is an independent limited company with charitable status and has a variety of funding streams on which it depends. However its raison d’être remains the same: to foster, promote and implement sustainable development at a local level in the Cork region. Over the years CEF has developed extensively its role as a facilitator of discussion and debate to influence sustainable thinking, development and policy at both County and City level as well as Nationally. Providing a forum to engage in debate on current environmental issues and seek agreement on ways of resolving them. Stimulating and sustaining the level of active environmental awareness, concern, care and activity among people in Cork. Participating in relevant networks which assist in fostering, promoting and implementing sustainable development. Structure – when CEF was founded it was to create a forum in the Roman sense of the word where there was an inclusive representation and where all viewpoints on the topical environmental issues of the day could be expressed and debated openly. CEFs representation reflects our broader society and is drawn from 4 pillars – Business & Commercial, Public Sector, Community & Voluntary and Individuals. Rotation – the maximum time on the Management Committee is 6 years, with the maximum as an Officer 3 years. This democratic and equitable structure allows for new people to lead and direct the organisation and bring new ideas, energy and commitment to promoting, fostering and implementing sustainable development in the Cork Region. Strength – there is diverse representation but CEF is not aligned in any one sector this facilitates engagement with activities and projects by a wide cross section of society. Direct actions e.g. tree planting, Rebel Pedal . Seminars (plenary sessions) – bringing together experts on a particular subject which allows the conversations/ discussions about critical issues to happen and to reach shared viewpoints and resolutions as well on occasion to inform CEFs position papers. Partnerships: The majority of our work is carried out in partnership with a wide range of key local stakeholders and this is something we see as an essential model to deliver our programme and to realise our aims and objectives. We bring together networks of people and organisations from different backgrounds and sectors in the course of our work, and use those established networks to promote the work and events that we undertake. Almost all our activities and projects are delivered in conjunction with partners that range from Cork City and County Council, Coillte, Cork Chamber of Commerce, Tidy Town projects, Engineers Ireland, the Irish Wildlife Trust, Cork Sports Partnership, HSE, the Lifetime Lab, Irish Natural Forestry Foundation, Lifelong Learning Festival, the ESB, Transition Town groups and many other local community groups and individuals. Global Action Plan Training – the current programme supports individuals at a household level to live in a more sustainable way by changing attitudes and behaviour. Childrens Thematic Workshops : creative art and craft workshops, mostly re-using materials help to highlight aspects of environmental care with children e.g. Biodiversity Day, Christmas Decorations. Networks e.g. Our members frequently take positions on other local committees or in other organisations with complementary aims and that result in mutual benefit e.g. 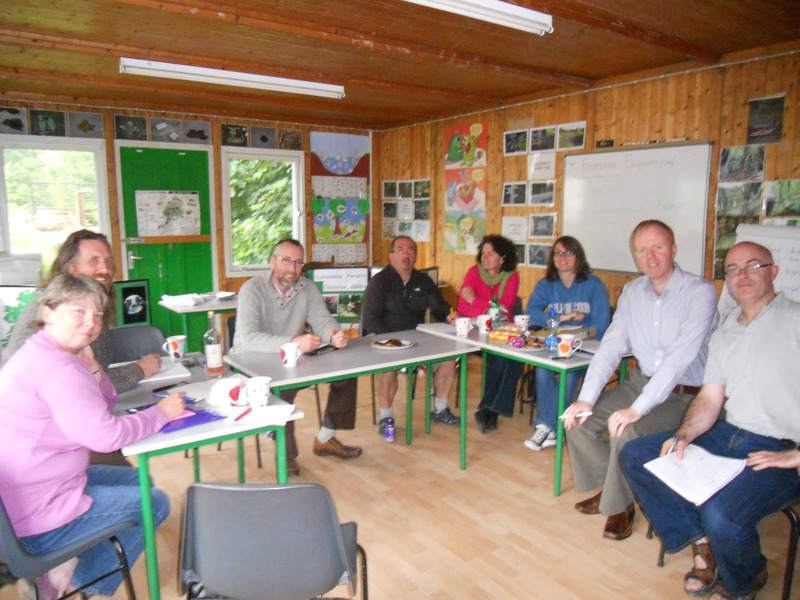 Strategic Policy Committees, City and County Development Boards, Coillte panels. Influencing policy e.g. submissions to Development Plans, responding to consultation calls on National Policy. Support for local groups/ projects/ Springboard for focused community action – Participation is promoted by reaching out to all citizens, local responsibility is encouraged and support is offered to individuals, groups and communities who are seeking ways to act or develop projects that will lead to sustainable development in their own localities. Awareness and education about sustainable development and how communities can be part of the process are intrinsic elements of all CEF activities and projects. CEF emphasises the shared knowledge and self-learning, in particular, through our Global Action Plan Programme. Through engagement with the activities, projects and processes of CEF participants can then implement the process deeper within their local communities towards a more sustainable society. Thanks to their vision, commitment and hard work they established a solid foundation for Cork Environmental Forum whose purpose is as relevant today as it was then. Local Agenda 21 (an agenda for the 21st Century) was an important agreement reached at the United Nations Global Conference on environment and development in Rio de Janeiro in1992. This milestone agreement acknowledged that environmental care is most effective at a local level and that individuals and communities must be supported in caring for the environment. It recognised that all sectors share responsibility for the environment and opportunities must be developed for them to work in co-operation and agreement and that this can be achieved by partnership of all stake holders, sharing ideas, information and resources, consultation and joint action. The principles of Local Agenda 21 are recognised by the Irish Government in environmental policy making. Local Action 21 has evolved from Local Agenda 21. It was agreed and signed up to the Johannesburg World Summit in 2002, where over 500 representatives of Local Authorities from all over the World formally adopted this programme for implementation of sustainable development. This website carries further information about CEF meetings, events and copies of the position papers.